As one descends Mt. Carmel going toward Megiddo, there is a rolling stone tomb whose usage dates back to the first century. Rolling Stone Tomb Near Carmel. Photo by Leon Mauldin. This tomb was discovered during road construction. It so well illustrates the biblical texts that narrate the burial of Jesus. 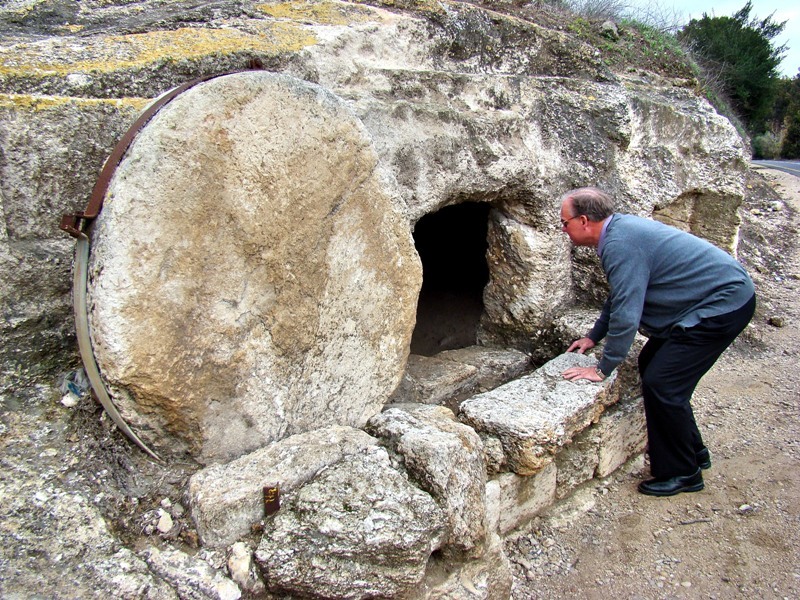 Joseph of Arimathea had a new tomb (one which had not been previously used, John 19:38-42). Assisted by Nicodemus, Joseph wrapped Jesus’ body in a clean linen cloth, “and laid it in his new tomb which he had hewn out of the rock; and he rolled a large stone against the door of the tomb, and departed” (Mt. 27:59-60). The tomb in our photo was hewn out of the rock, and you can see the large stone positioned to the left of the opening. So they both ran together, and the other disciple outran Peter and came to the tomb first. And he, stooping down and looking in, saw the linen cloths lying there; yet he did not go in. Then Simon Peter came, following him, and went into the tomb; and he saw the linen cloths lying there, and the handkerchief that had been around His head, not lying with the linen cloths, but folded together in a place by itself. Then the other disciple, who came to the tomb first, went in also; and he saw and believed. (John 20:4-8). Note the record says the disciple stooped down to look in. The tomb in our photo shows how this would of necessity be true. Rolling Stone Tomb. Stooping to Look Inside. Photo by Ferrell Jenkins. Note that we are not suggesting that this is the tomb in which Jesus was buried; it does however illustrate the type of tomb that would have been used. For New Testament Christians, each first day of the week is significant. Christians assemble in the name of Jesus Christ to partake of His memorial feast, the Lord’s Supper. That Supper points back to His death, His body and His blood. But we serve a risen Savior! We proclaim His death till He comes (1 Cor. 11:26). (Note: this is a re-post from April 4, 2010). To deliver you from the strange woman, From the adulteress who flatters with her words; That leaves the companion of her youth And forgets the covenant of her God; For her house sinks down to death [מָוֶת] And her tracks lead to the dead [רְפָאִים]; None who go to her return again, Nor do they reach the paths of life (Proverbs 2:16-19). While preparing for a recent opportunity to teach this text (in our local congregation) I was put in mind of some of the burial sites which may be seen by the visitor to Bible lands. Such examples as this here below help us to visualize the word picture employed to warn of the destiny of the path of the immoral woman. Approach to Herod’s family tomb in Jerusalem. Photo by Leon Mauldin. King Herod the Great was buried at the Herodium, but according to Josephus some of his family members were buried in Jerusalem. 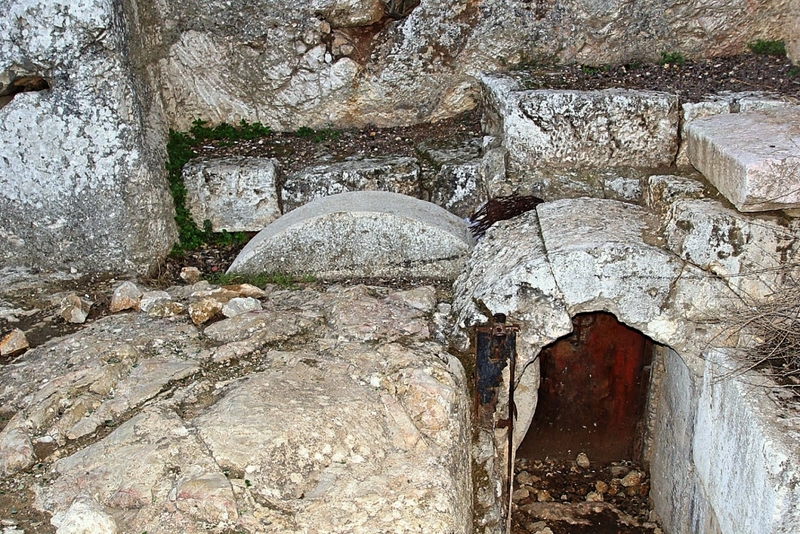 This tomb has been identified as Herod’s family tomb. BTW, note the rolling stone at center. Herod’s family tomb in Jerusalem. Photo by Leon Mauldin. Since its discovery in 1892, a tomb near the King David Hotel, west of Jaffa Gate, has been listed in many guidebooks and shown to multitudes of pilgrim tourists as “Herod’s Family Tomb.” The architectural style of the tomb certainly dates it to the right period. This exterior view, for instance, shows the typical arrangement of the time for a tomb entrance: steps cut into bedrock lead down to a vertical doorway guarded by a huge, cylindrical rolling stone. The suggestion that this was actually the royal family tomb came from what was found beyond this entranceway. 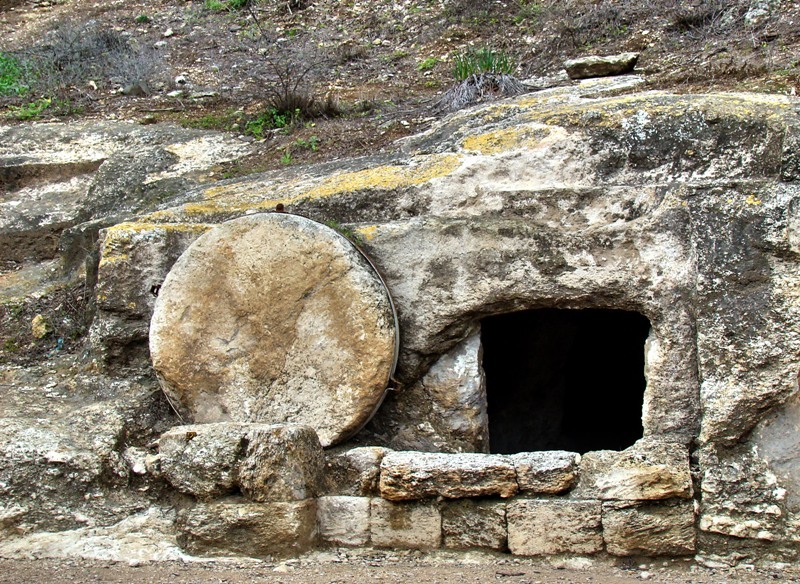 The tomb was large; five rooms arranged in the shape of a cross had been hewn out of the bedrock. More significantly, portions of the walls were faced with finely carved ashlar (an ashlar is a rectangular building stone with surfaces trimmed at right angles) stone blocks in the style typical of Herod’s monumental building projects, such as the Temple Mount additions (emphasis mine, LM) (see SNT34: Southern Extension of Temple Mount, Reconstruction Peter; SNT35: Monumental Walls at Tomb of Abraham). This was structurally unnecessary and was a most unusual feature; in other tombs of this period, room walls consisted simply of bedrock, chisel dressed to achieve a flat surface. (The Biblical World in Pictures; BAS Biblical World in Pictures. (2003). Washington D.C.: Biblical Archaeology Society). (It should be noted that some archaeologists/scholars such as the late Ehud Netzer, believed Herod’s family tomb to be near the Damascus Gate in Jerusalem). No man who becomes involved in adultery will ever be the same again. He cannot return to where he was. He can be forgiven by God. He can be forgiven by his mate. He can be forgiven by the spouse of his partner in adultery. But things can never be quite the way they were. The implicit trust his mate placed in him has been broken. The special intimate relationship between husband and wife has been violated. The painful memory of the act remains in the consciences of all involved, try as they may to remove it. The feelings of guilt are still there. To the extent the sin is known to others the reputation is damaged. If those involved are Christians the Lord’s holy name is reproached. If they have children who know of the affair the confidence of those little ones is shaken. Time will aid in healing these wounds, but it cannot completely erase the them. (Guardian of Truth XXXVI: 13, pp. 385, 407, July 2, 1992). 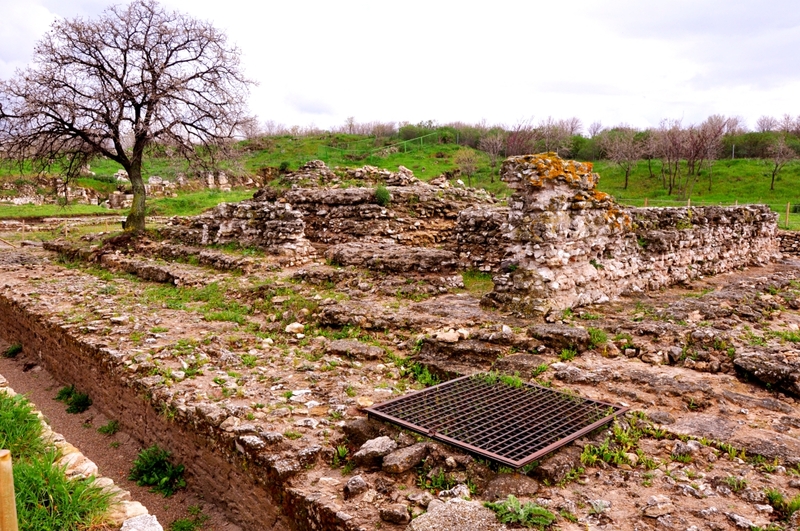 Troas is referenced several times in Scripture, beginning in Acts 16:8, where Paul (2nd Missionary Journey) received a vision of a man pleading with him, “Come over to Macedonia and help us” (v.9). Paul would make use of the harbor at Troas on several occasions in his travels in preaching the gospel message. It is hard to overstate the pervasiveness of idolatry in the biblical world. It was literally everywhere. The ruins of a Roman temple, thought to be constructed during the reign of Augustus, may be seen at the agora. A head of the wine god Dionysos was found at the site. The info sign (written in Turkish and German) indicates that the remains uncovered here bear witness to the glorious temple facilities. A Roman aqueduct flows under the temple. Pagan temple at Troas. Photo by Leon Mauldin. Paul used the harbor here at Troas going and coming on his 3rd Journey (2 Cor. 2:12; Acts 20:6). Paul made reference to Troas in his final letter, shortly before his death, writing to Timothy, “When you come bring the cloak which I left at Troas with Carpus, and the books, especially the parchments.” (2 Tim. 4:13). 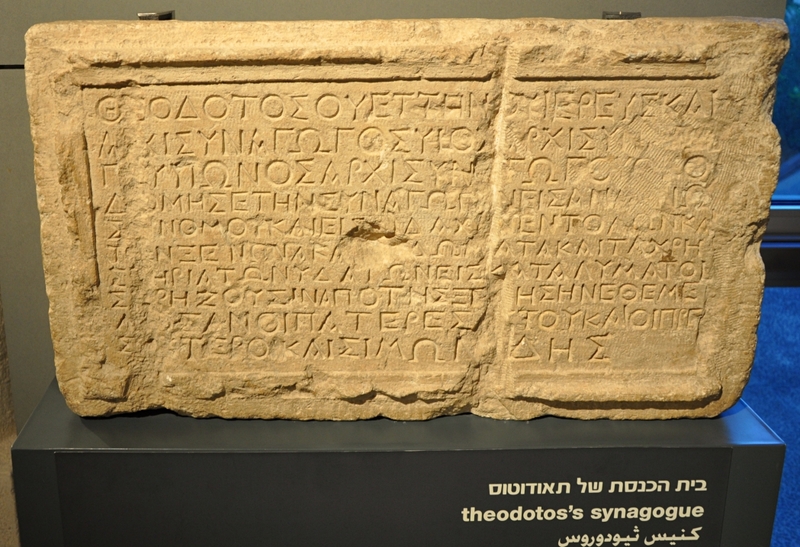 An interesting artifact displayed in the Israel Museum in Jerusalem is the dedicatory inscription, written in Greek, from the synagogue of Theodotos in Jerusalem. This inscription, made of limestone, was discovered in 1913 by Raymond Weill during excavations in the City of David. Fant and Reddish note: “If its pre-70 C.E. dating is accurate, then this discovery provides solid evidence of a synagogue building in Jerusalem that was built during the end of the first century B.C.E. or early part of the first century C.E. (Lost Treasures of the Bible, Kindle Locations 4613-4614). Hundreds of synagogues stood in ancient Jerusalem before their destruction by Titus’s Roman forces in 70 A.D.; in one of them hung the following Greek inscription, carved prominently into the 25-by-17-inch limestone slab shown above: “Theodotus son of Vettenus, priest and synagogue leader, son of a synagogue leader, grandson of a synagogue leader, rebuilt this synagogue for the reading of the Law and the teaching of the commandments, and the hostelry, rooms and baths, for the lodging of those who have need from abroad. It was established by his forefathers, the elders and Simonides.” The fact that the language of the inscription is Greek, not Hebrew, and its allusion to “those who have need from abroad,” suggest that this synagogue was used by Jews from the Diaspora, and that it housed large numbers of visiting pilgrims. Some scholars have identified it with the Synagogue of the Freedmen (former slaves in the Roman Empire), mentioned in Acts 6:9 (Shanks, BAR 29:4 July/Aug 2003). The Theodotus Synagogue Inscription. Israel Museum, Jerusalem. Photo by Leon Mauldin. Not only did Theodotus hold this office in the synagogue, but according to the inscription so did his father and his grandfather. If the traditional dating of the inscription is correct, then Theodotus’s grandfather would have been archisynagogos sometime during the first century B.C.E. This is the earliest known use of this title for the person who served as the leader of the Jewish synagogue, pre-dating by approximately fifty years other examples of a similar use of this term. (Treasures 4615-4616). Acts 18:17 And they all seized Sosthenes, the ruler of the synagogue, and beat him in front of the tribunal. But Gallio paid no attention to any of this. I love to read the account of the time Jesus went to the Galilean city of Nain, raising a young man from the dead. How the widowed mother must have rejoiced! Now it happened, the day after, that He went into a city called Nain; and many of His disciples went with Him, and a large crowd. 12 And when He came near the gate of the city, behold, a dead man was being carried out, the only son of his mother; and she was a widow. And a large crowd from the city was with her. 13 When the Lord saw her, He had compassion on her and said to her, “Do not weep.” 14 Then He came and touched the open coffin, and those who carried him stood still. And He said, “Young man, I say to you, arise.” 15 So he who was dead sat up and began to speak. And He presented him to his mother. 16 Then fear came upon all, and they glorified God, saying, “A great prophet has risen up among us”; and, “God has visited His people.” (Lk. 7:11-16). 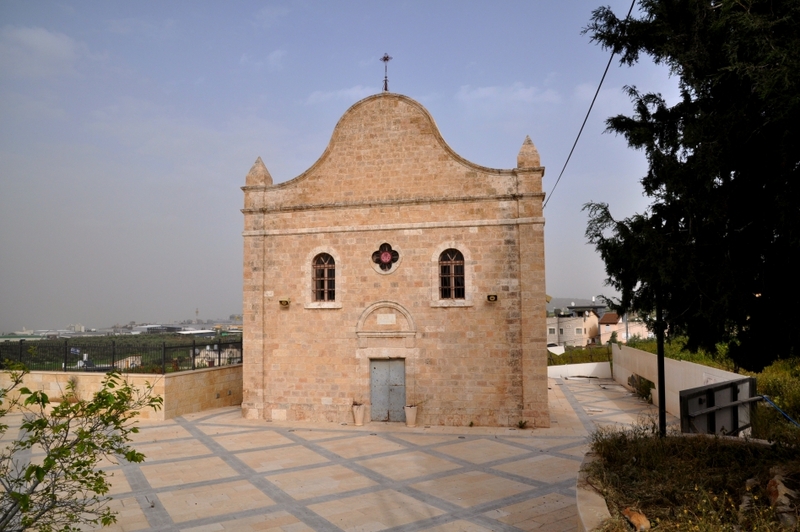 Franciscan Church at Nain, the city where Jesus resurrected the widow’s son, Lk. 7:11-17. Photo by Leon Mauldin. The purpose of Jesus’ miracles was to show who He was/is. The limited occasions recorded when He raised the dead give proof that He is Life, He is the source of Life. He is the resurrection and the life (John 11:25). And yet such occasions show the very real compassion of Jesus as well. The compassion He had during His ministry on earth He continues to have at this present time. Ferrell Jenkins and I had the opportunity to make a quick stop at Nain during our study tour in Israel in March, 2018. 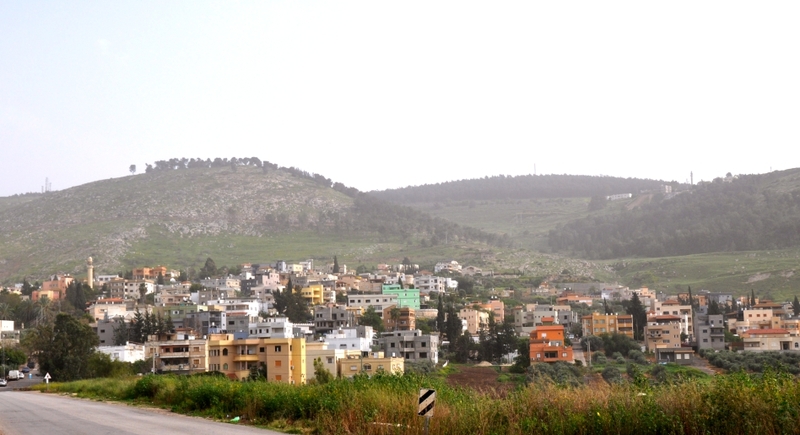 Nain in Galilee. Photo by Leon Mauldin. Acts 27 is tells the exciting (and scary) narrative of Paul’s (along with 276 passengers on the ship, v.37) voyage in the storm, shipwrecking at Malta in the Mediterranean en route to Rome. As they approached land, Luke writes, “Fearing that we might run aground somewhere on the rocks, they cast four anchors from the stern and wished for daybreak” (v.29). Then when it was day and they could see land, “And casting off the anchors, they left them in the sea while at the same time they were loosening the ropes of the rudders; and hoisting the foresail to the wind, they were heading for the beach” (v.40). There was no loss of life, and the group wintered at what turned out to be Malta (28:1ff.). 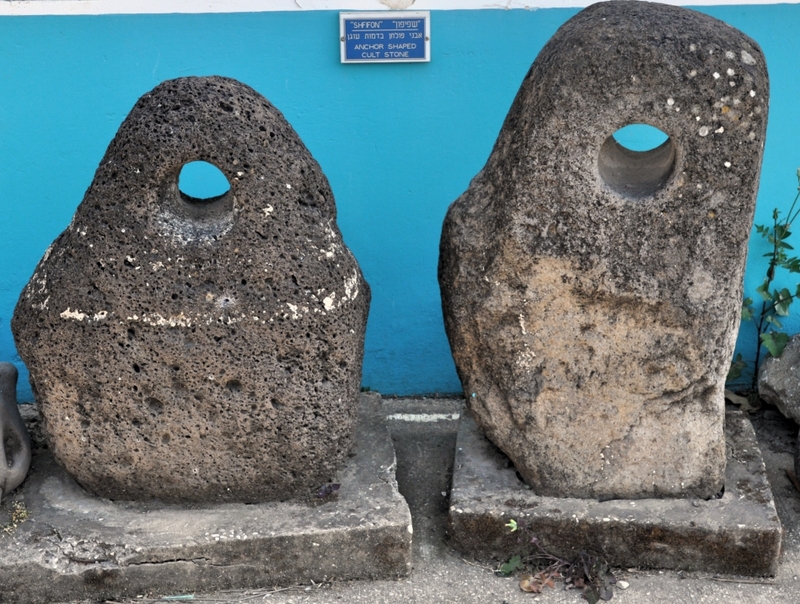 At En Gev on the Sea of Galilee I photographed some anchors which can serve as good illustrations of the Acts 27 text. 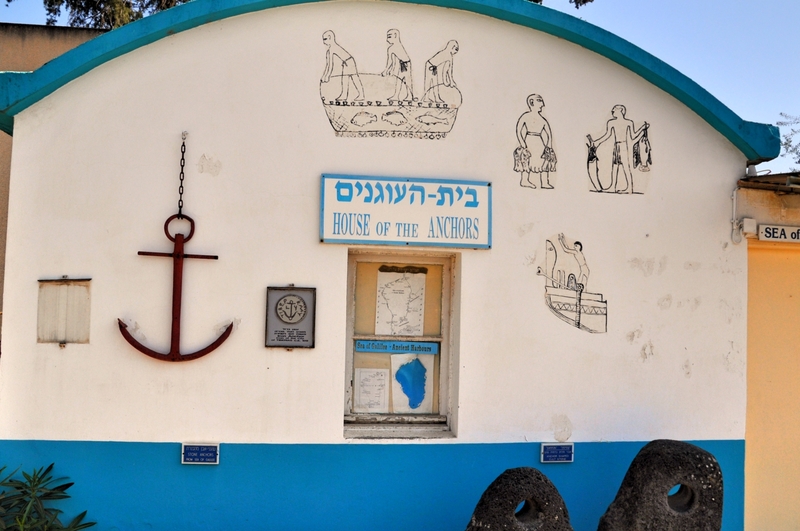 Anchors displayed at Ein Gev, Israel. Photo ©Leon Mauldin. House of the Anchors. Photo ©Leon Mauldin. 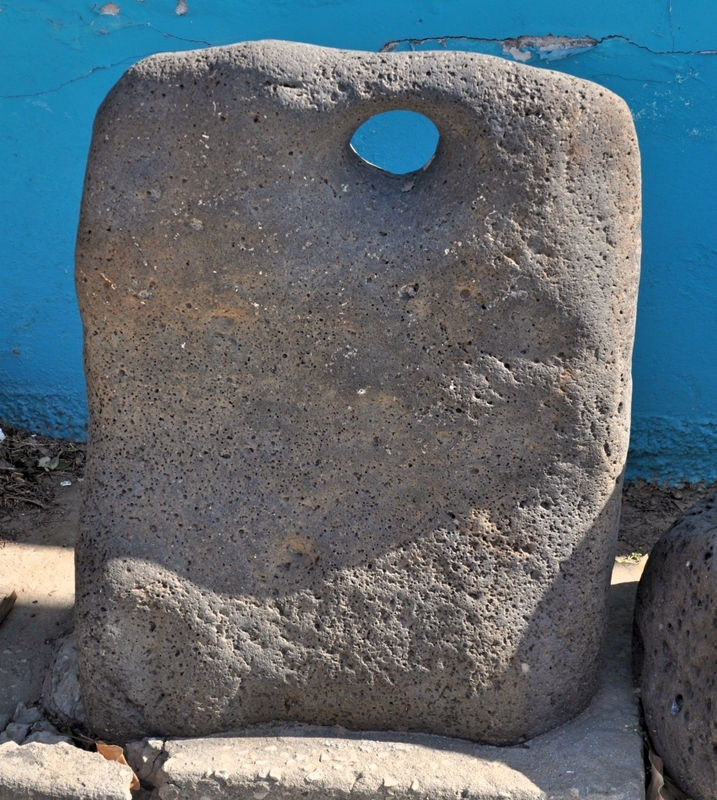 Such artifacts are useful in helping to visualize the text and may be used in PPT or printed as handouts. Anchor at Ein Gev, Israel. Photo ©Leon Mauldin. I’m currently presenting a visualized survey of the Bible, with tonight’s lesson dealing with the Life of Christ. Following Jesus’ Galilean Ministry, He pursued a plan to invest more time alone with the Apostles, preparing them for the great work they were to do. This period is known as the Retirement Ministry, “retiring” from the crowds to be with the apostles. One region Jesus traveled during this time was the Decapolis. 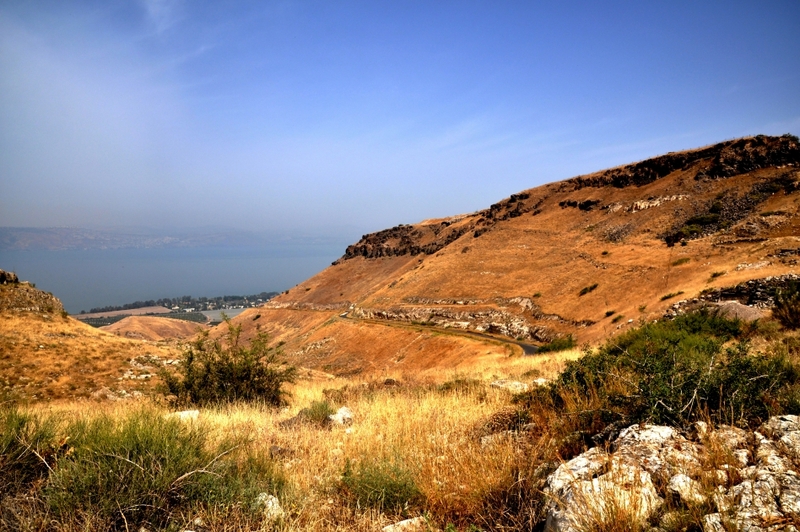 “Again He went out from the region of Tyre, and came through Sidon to the Sea of Galilee, within the region of Decapolis” (Mark 7:31). This largely Gentile area was comprised of ten cities (hence the name) which were given autonomy by Rome. 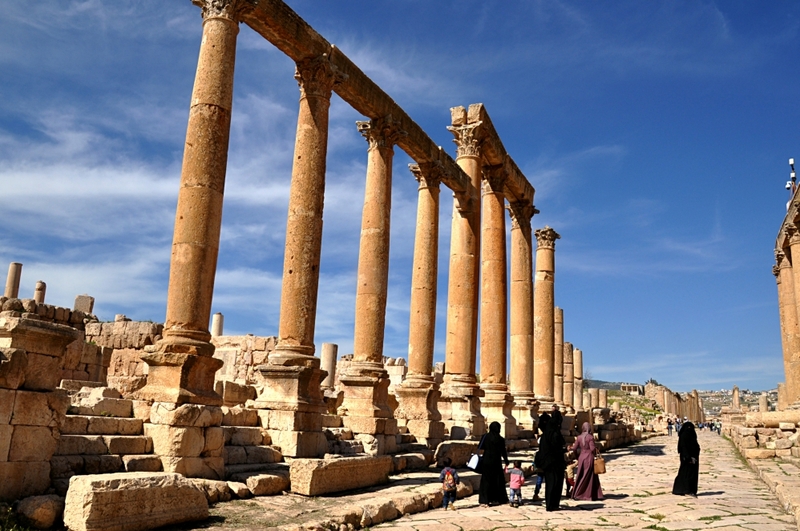 One of the cities of the Decapolis was Jerash (Gerasa). Hadrian Gate at entrance to Jerash, one of the cities of the Decapolis. Photo ©Leon Mauldin. Here is a view down the Cardo of Jerash. 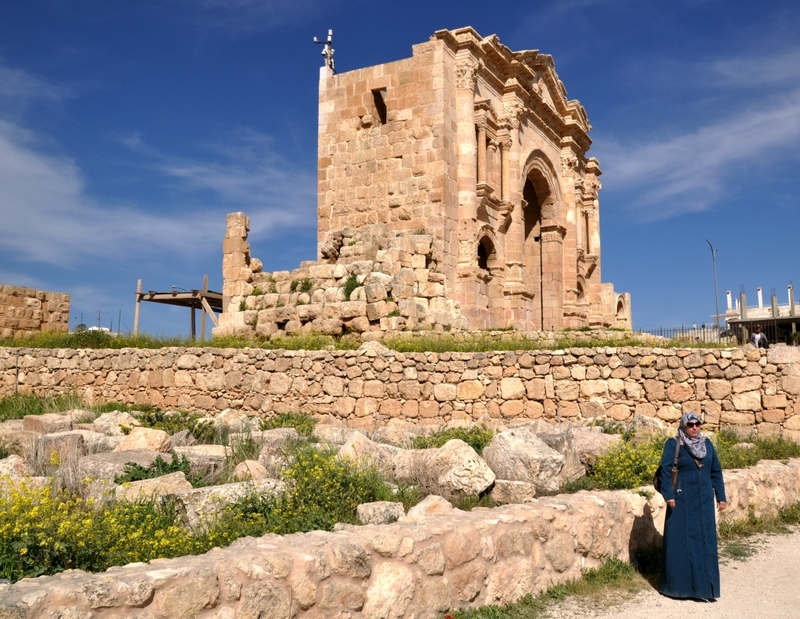 Cardo at Jerash. Photo ©Leon Mauldin. 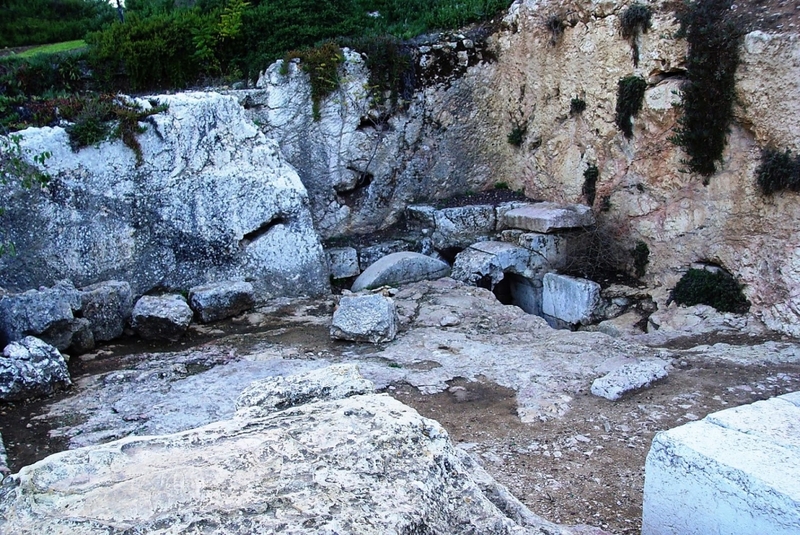 Another city of the Decapolis was Hippos. From here you can see the Sea of Galilee. Hippos of the Decapolis. Photo ©Leon Mauldin. We’ve previously written here on Hippos. Again He went out from the region of Tyre, and came through Sidon to the Sea of Galilee, within the region of Decapolis. 32 They brought to Him one who was deaf and spoke with difficulty, and they implored Him to lay His hand on him. 33 Jesus took him aside from the crowd, by himself, and put His fingers into his ears, and after spitting, He touched his tongue with the saliva; 34 and looking up to heaven with a deep sigh, He said to him, “Ephphatha!” that is, “Be opened!” 35 And his ears were opened, and the impediment of his tongue was removed, and he began speaking plainly. 36 And He gave them orders not to tell anyone; but the more He ordered them, the more widely they continued to proclaim it. 37 They were utterly astonished, saying, “He has done all things well; He makes even the deaf to hear and the mute to speak.” (Mark 7:31-37). You are currently browsing the archives for the New Testament category.